In functional medicine we look at diet and lifestyle strategies to prevent or reverse disease, calm inflammation, and slow the aging process. However, other overlooked but extremely important aspects to your health are your general happiness, well-being, and attitude. Science shows happiness and positivity are correlated with better health. If you are not naturally happy, not to worry, simply putting forth small and regular efforts in the direction of happiness, such as writing in a gratitude journal, has been shown to improve health. In what is thus far the most comprehensive study on what makes people happy, researchers looked at the lives of Harvard graduates, blue-collar workers, and women spanning almost a decade. From that data, they found six common themes that ran through the lives of the happiest lifelong subjects. If you would like to meet with Dr. Celaya to discuss your issue, schedule a FREE 15-MINUTE CONSULTATION. 1. Avoid smoking and alcohol. 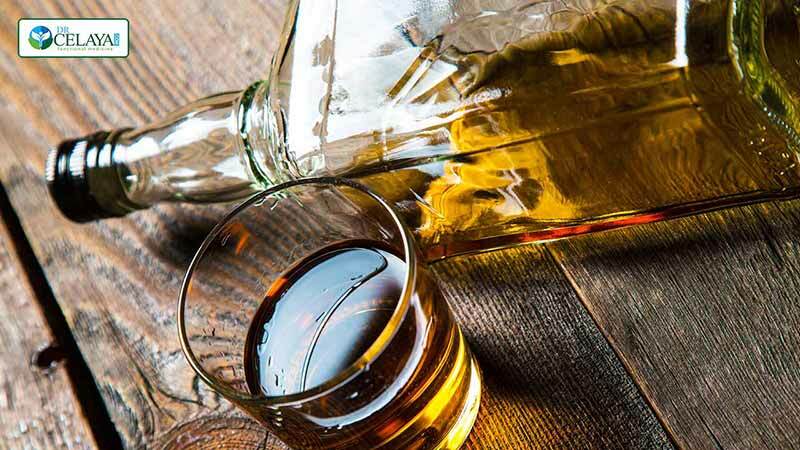 Researchers found those with lifelong smoking and alcohol habits were unhappier than those who abstained. Among the study subjects, not smoking was the most important factor in healthy aging. Likewise, the study showed that alcohol robbed people of happiness and sabotaged their relationships (healthy relationships are one of the six factors of happiness). In functional medicine we know smoking and regular alcohol consumption make it hard to be healthy and happy for other reasons. Smoking robs your brain of oxygen, degenerating it more quickly. This has an effect not only on your brain function, personality and mood, but also on the health of your body. Regular alcohol consumption has also been shown to more quickly degenerate the brain and promote leaky gut and inflammation. 2. A college education. Despite income, social class, or IQ, college-educated research subjects were happier in the long run. Those with higher education tended to take better care of their health and avoid destructive habits like smoking and drinking. Exercising your intellectual curiosity is also good for the brain at any age and despite your education. 3. A happy childhood. Ok, this one is unfair for a lot of people. Feeling loved by one’s mother was a bigger predictor of lifelong happiness despite income or IQ. Coping well with adolescence was another predictor. But not to worry if your childhood has been something only from which to recover. 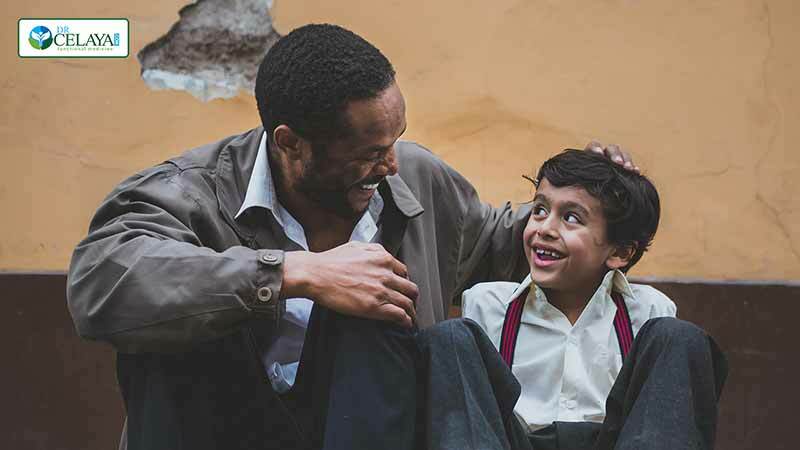 Caring, loving friendships and relationships have been shown to compensate for damaging childhoods, and those are factors you can develop through self-work. 4. Good relationships. Mutually heathy, loving, and supportive relationships were found to be fundamental to happiness across all the study subjects’ lives. This includes continually widening your social circles so that if some friends fall away new ones to fill their place. 5. Good coping skills. No one is spared from bad stuff happening. However, happier people are more resilient and better able to cope with hardship. This can be a learned skill, even if you need a therapist’s help. Coping skills include altruism, creating good outcomes out of bad situations, staying focused on the bright side, and keeping a sense of humor. 6. Giving back. The happiest study subjects intuitively followed a path that spiritual traditions have espoused for millennia — happiness is found through service. 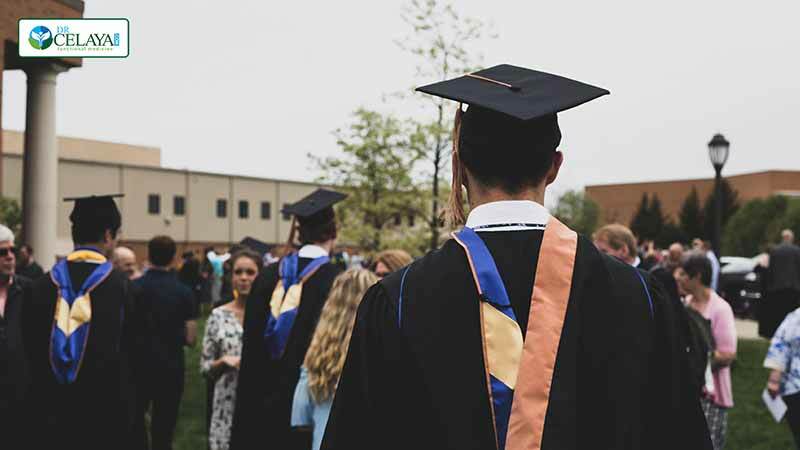 As they matured, the study subjects who served in building community and relationships thrived best. This includes mentoring, coaching, consulting, and otherwise selflessly sharing the fruits of well-earned wisdom. Sometimes it can be difficult to “practice happiness” when we feel terrible. One of the most rewarding aspects to a functional medicine recovery journey is a boon to your general mood, well-being, and sense of love. Schedule a FREE 15-MINUTE CONSULTATION to find out how. If your brain and digestive system don’t talk, you could be sick. Do you know those irritable people that always seem angry or depressed, sensitive to emotion, live in constant chaos, or seem perpetually stuck in unfavorable situations? Sometimes, this is just a byproduct of poor brain function. Of course, naturally optimistic people can suffer from poor brain function too—symptoms may consist of memory loss, brain fog, fatigue, anxiety, and depression. All of these feelings—and others—can trigger symptoms in the gut. 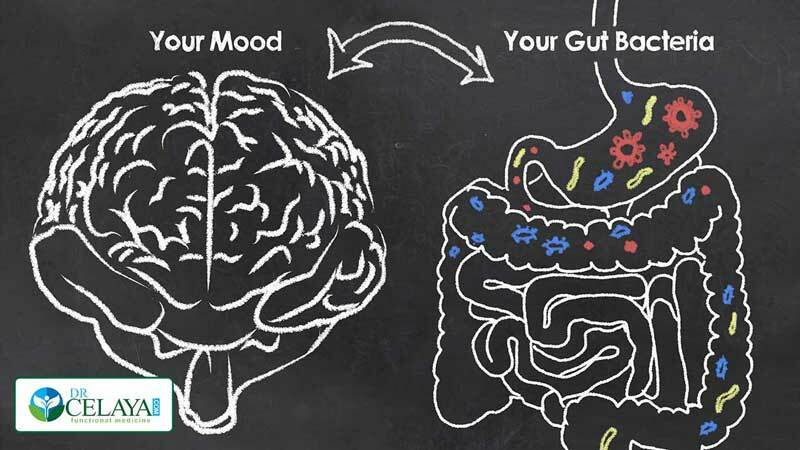 This gut-brain connection operates as a bi-directional system; therefore, a person’s gut inflammation or distress can be the cause or byproduct of stress, anxiety, or depression. This is particularly true in circumstances when a person experiences gastrointestinal (GI) upset without a physical cause. For such functional GI disorders, it is a challenge to heal the gut without first looking at the connection between the gut and brain and considering the effects of stress and emotion. One of the most significant things to understand is the intimate link between the gut and the brain. We have several receptors that fire into the brain, such as for sensation, sound, temperature, balance, etc. These signals stimulate the brain to relay information into the brainstem of the central nervous system (CNS), which is the area of the brain that keeps the heart beating, lungs functioning, and gut moving. The wall of the digestive system is innervated by the CNS and the enteric nervous system (ENS)—it has millions of neurons that control blood flow and secretions to help you digest food. 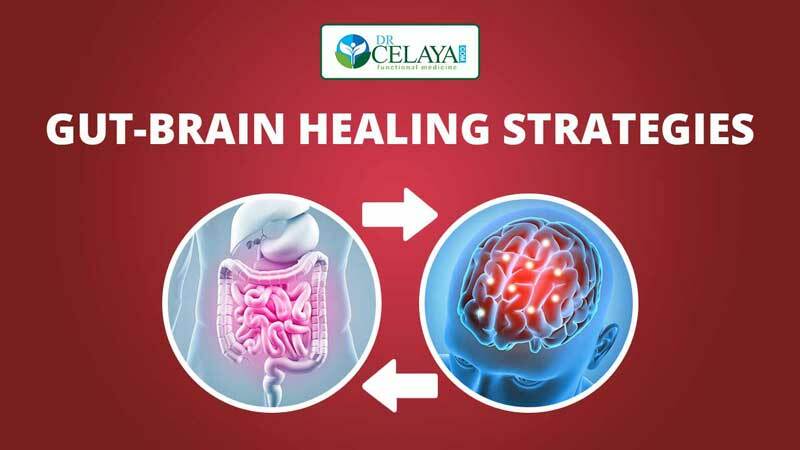 Inflammatory issues, such as in intestinal permeability (leaky gut) or an imbalance in the gut microbiome (dysbiosis) can impact the messages from the gut to the brain. The vagus nerve, a cranial nerve that is a part of the ENS, is a key pathway to the activation of the digestive system. Degeneration of vagal function, or less activation of the vagus nerve, compromises the digestive function by decreasing blood flow to the gut (which leads to leaky gut, neuroinflammation, and a cycle of other inflammatory responses). The multitude of neurons in the ENS not only influence our GI function but also how we “feel”—this is why the ENS is called our second brain. Though the second brain is not capable of in-depth thought, it does “talk” to the brain. Stress, for example, is closely tied to the gut. The body responds to external and internal stressors with the “fight or flight” system. During a stressful situation, a redirection of energy takes place; your digestion is put on hold, your heart and respiratory rate escalate, and your palms may get sweaty. This protective mechanism is intimately related to cortisol levels, which are ruled by the hypothalamic-pituitary-adrenal (HPA) axis. Typically, diffusion of the stressful situation resets your body back to normal. But if you are always stressed, anxious, or stuck ruminating on negative thoughts, your body gets caught in a fight or flight response. The byproduct of this chronic response is chronic inflammation—the root of many diseases. Inflammation leads to serious health consequences, such as high blood pressure, intestinal permeability, autoimmune disorders, and neurodegeneration. The trillions of gut microbes—collectively known as the microbiome—also play a role in the regulation of our immune response. Communication between the gut microbiome and nervous system may influence disorders like anxiety and depression, autism, and dementia. How do you recognize if you need to improve your gut-to-brain or brain-to-gut axis? 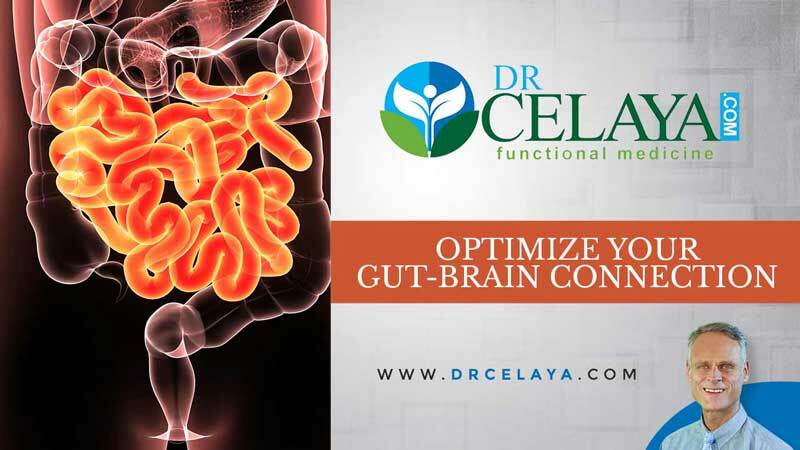 If your brain is impaired (brain fog, memory loss), if you suffer from intestinal motility issues (constipation, nausea), and if you have not had a positive response to conventional digestive protocols, you may have a brain-to-gut impairment. Furthermore, if you have digestive issues, these can impact your brain chemistry and impair your gut-to-brain communication. It is not uncommon to be in a vicious cycle of both a gut-to-brain and brain-to-gut impairment; most people need to support both simultaneously. A characteristic symptom of this cycle is a decrease in the motility of the gut and consequently constipation, straining during bowel movements, and incomplete elimination. Poor elimination means that waste sits in the intestines, promoting an environment for yeast and bacterial overgrowths and the development of small intestinal bacterial overgrowth (SIBO). Poor vagal function also encourages gallbladder stones and attacks and reduces the effectiveness of digestive secretions; therefore, digesting food becomes difficult. Many patients with chronic gut dysfunction never improve because they do not move past treating it at the gut level—this will create the vicious cycle. Poor gut health will impact your brain function thus causing depression, anxiety, poor cognition, and other brain-based symptoms. 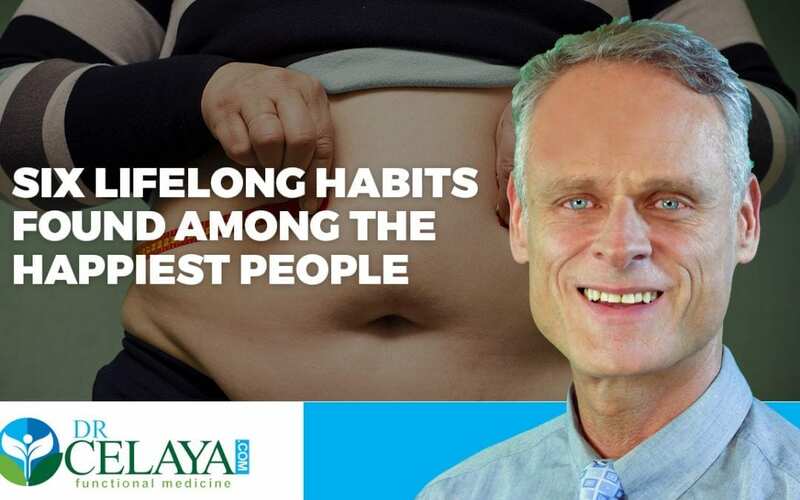 While there’s still much to discover about the mystery of the digestive system and all that it affects, we are sure of several things that can help improve the connection between your gut and brain. Follow the autoimmune paleo (AIP) diet. Avoid gluten and other immune sensitive foods. Consume different types of fiber. 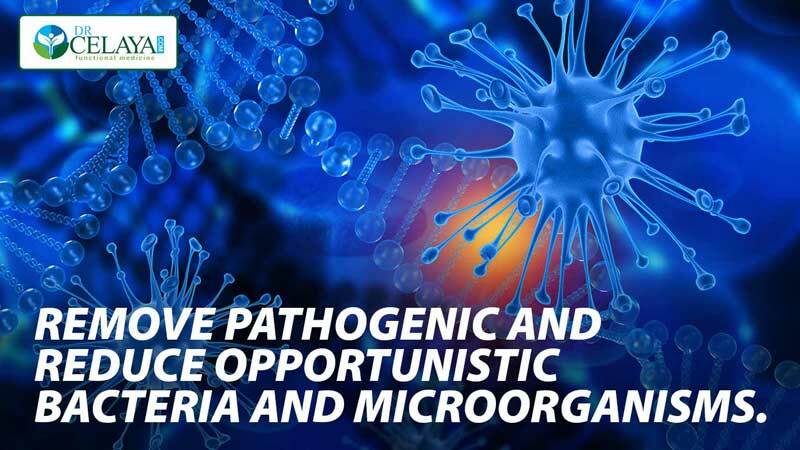 Remove pathogenic and reduce opportunistic bacteria and microorganisms. Supplemental support may include digestive enzymes, L-Glutamine, N-acetyl glucosamine, and antifungals (such as oregano oil). Every neuron needs oxygen, glucose, and stimulation. Oxygen – A reduction in blood flow to the brain, such as from a sedentary lifestyle, smoking, anemia, low blood pressure, and hypothyroidism, reduces the amount of oxygen the brain receives. Glucose – Glucose fuels the brain. If you become hypoglycemic (low blood glucose) from going too long without eating, you may feel dizzy or lightheaded. On the other hand, in insulin resistance (high blood glucose), glucose can’t get into the cells of your body or brain leaving you feeling sleepy or slow. Stimulation – Stimulation such as physical activity and mental challenges “exercise” your neurons and are essential to keep them active and healthy. Exercise also increases brain-derived neurotrophic factor and supports mitochondrial function. Support the brain with nutrition. Reduce inflammation with resveratrol, turmeric, and fish oils. Optimize with vitamins and supplements. Healthy brain function is not just about boosting your score on a brain game, remembering where you put your keys, or preventing dementia. A Healthy brain equals a better quality of life. When you have optimal brain function, you are happier, and you are naturally drawn to nourish your body and mind. Ask my office for more information about a detoxification and gut-repair program using the AIP diet. You can schedule to become a new patient or a free consultation. Should you try a Detox Diet? The benefits of modern life are undeniable. Who would not accept cold air coming from an air conditioner on a hot day? Could you completely stop using your cell phone for two or three consecutive days? Could you travel from one country to another without using modern transportation such as airplanes or bus services? The logical answer is NO. Most of us are totally dependant on the luxuries of life made available because of advances in modern technology. Yet, there is another side of the coin, and simply, nothing comes without a price. I can simply say that toxins are deleterious substances, which have undesirable short-term or long-term effects on our health. 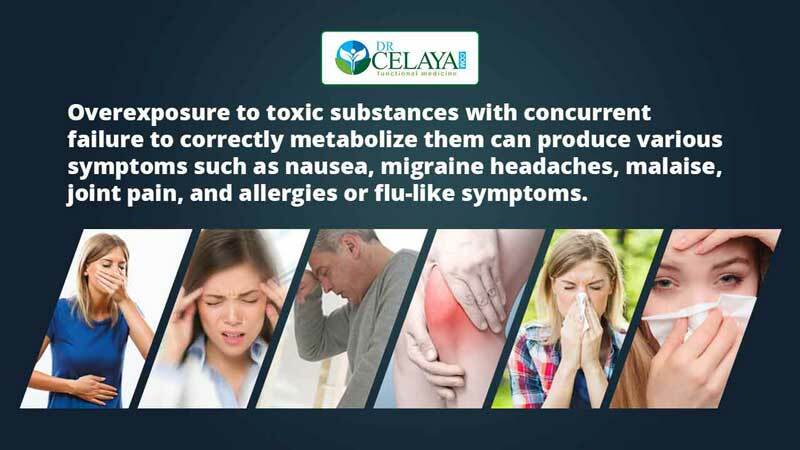 Overexposure to toxic substances with concurrent failure to correctly metabolize them can produce various symptoms such as nausea, migraine headaches, malaise, joint pain, and allergies or flu-like symptoms. This toxic accumulation can also contribute to inflammatory and neurological diseases. While it is nearly impossible to preclude accumulation of toxic substances that come with modern life, you may have the power to restore balance to a healthy lifestyle! Detoxification, or body cleansing, aims to clear the body of toxins or harmful substances. Detox diets, considered to be the base of detoxification, are dietary plans that facilitate toxin elimination and weight loss, thereby promoting health and well-being. The liver is the most important organ in the body involved in the detoxification process. The liver can convert the toxic substances into less harmful components, facilitating their removal from the body. Hence, it is believed that the best way to boost your liver function is to depend on detox diets ranging from fasting (total or juice/water) to food modification. Usually, detox diets are rich in fiber. Proponents claim that detox diets stimulate the body to release stored fats including fat-stored toxins into the blood, facilitating their excretion through urine, breath, and feces. 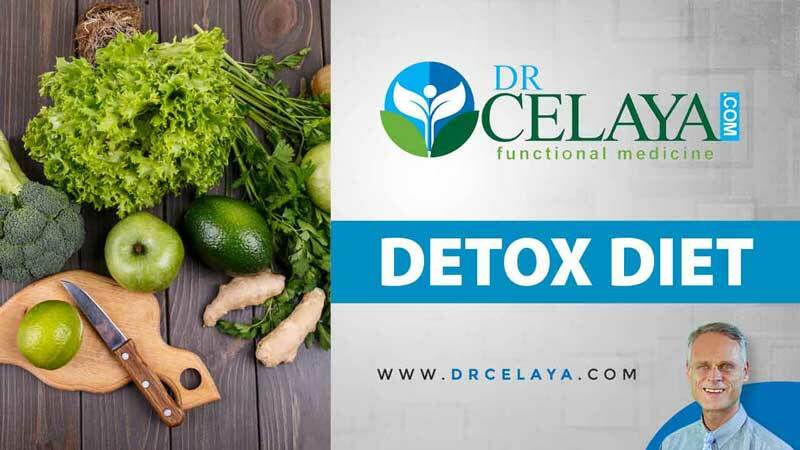 Many detox diets contain a combination of laxatives, diuretics, multi-vitamins, minerals, herbs, celery, and other juicy low-calorie vegetables. In the rest of the article, I will try to summarize the most important components of detox diets. 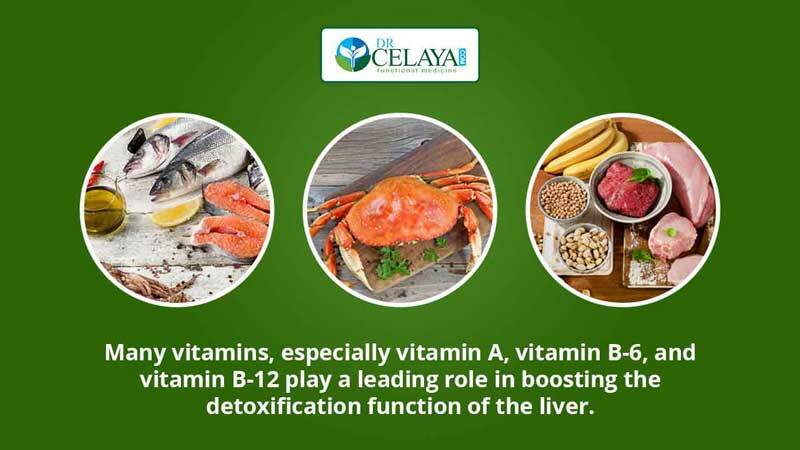 Many vitamins especially vitamin A, vitamin B-6, and vitamin B-12 play a leading role in boosting the detoxification function of the liver. Patra et al., (2006) showed that there is a strong ability of the essential amino acid L-methionine to cleanse the body from the harmful effect of lead, a heavy metal. Taurine, which is an amino acid, is also suggested as having an antioxidant effect against lead-induced oxidative stress. Obinata et al., (1996) showed that taurine was effective in treating fatty liver in children with simple obesity regardless of the success/failure of weight control. Taurine administration is also considered to be helpful as an adjuvant therapy for fatty liver. Inositol, which is a type of sugar related to glucose, is currently considered as a liver supplement. Silymarin, which is the active constituent of milk thistle, is considered one of the best liver supports and liver detoxification. Bile is a major way to excrete harmful substances. Bile also emulsifies dietary fats and facilitates their digestion and absorption. Ox bile is currently reported to promote bile production. The Romans used Chelidonium majus or greater celandine as a blood cleanser. The extracts of greater celandine have shown toxic effects in harmful organisms, as well as liver protecting activities. The artichoke is a plant with antioxidant activities. Mehmetçik et al., (2008) indicated that in vivo artichoke extract administration may be useful for the prevention of oxidative stress-induced hepatotoxicity. Beet, which is a high-antioxidant vegetable, is used as food coloring and as a medicinal plant. Do you know that by eating beets you can help your body cleanse your liver? Váli et al., (2007) showed that the table beet has excellent liver-protecting effects during ischemia-reperfusion. 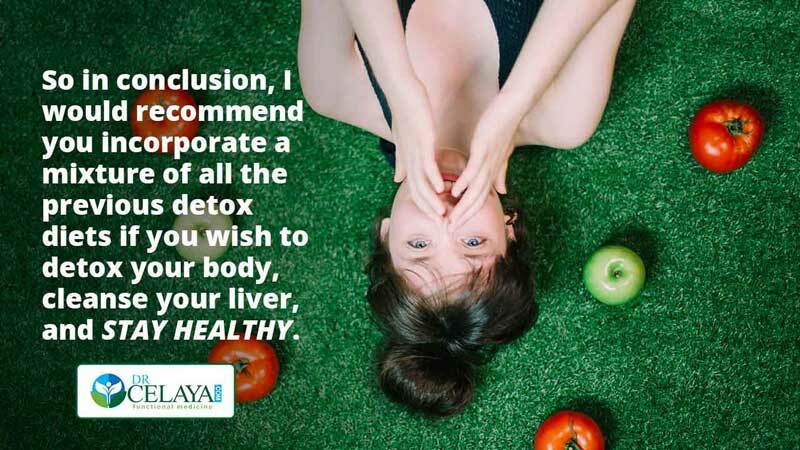 In conclusion, I would recommend that you incorporate a mixture of all the previous detox diets if you wish to detox your body, cleanse your liver, and stay healthy. If you’d like to know more about your health and detoxification diets, you can schedule to become a new patient or a free consultation. Carbohydrates are not just about weight loss. If you are counting carbs to stabilize your blood sugar, lower inflammation, balance hormones, or lose weight, experts say looking at carbohydrate density is a more important strategy. Carbohydrate density measures how many carbohydrates are present per 100 grams of food. Low carb density foods don’t raise your risk of chronic disease. 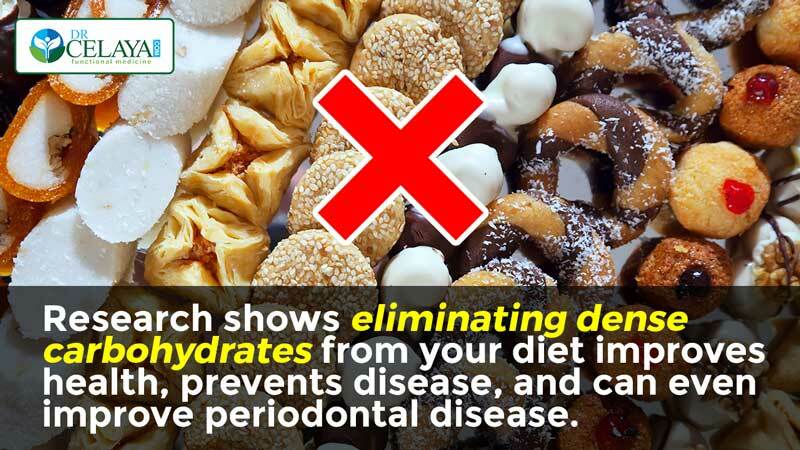 Research shows eliminating dense carbohydrates from your diet improves health, prevents disease, and can even improve periodontal disease. 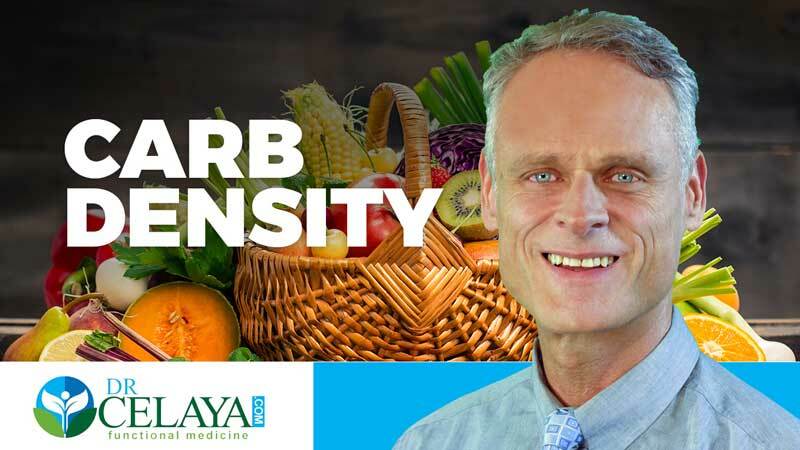 While many diets focus on how many calories or how many grams of carbohydrates you should eat per day, the carb density diet instead focuses on how many grams of carbohydrates are in a food once you subtract the fiber. Ideally, you only want to eat foods under 23 percent carb density. More importantly, avoid carb-dense foods. Foods with low carb density include meats, vegetables, fruits, and whole nuts. High density carbs include flours, sugars, breads, chips, rice cakes, granola bars, French fries, popcorn, and other fast and processed foods. In a nutshell, if it has been processed, it’s going to be more carb dense. 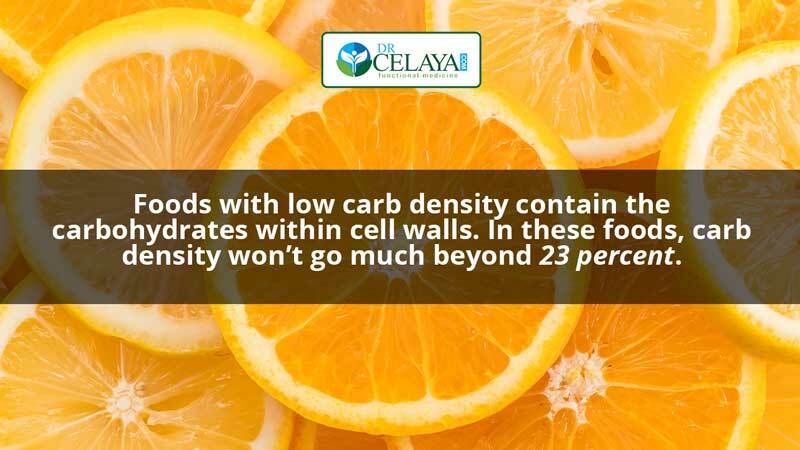 Foods with low carb density contain the carbohydrates within cell walls. In these foods, carb density won’t go much beyond 23 percent. In foods that are carb dense, however, such as flours, sugars, and processed grains, modern processing breaks apart cell walls so that carbs are much more concentrated, abundant, and hit the bloodstream more quickly. 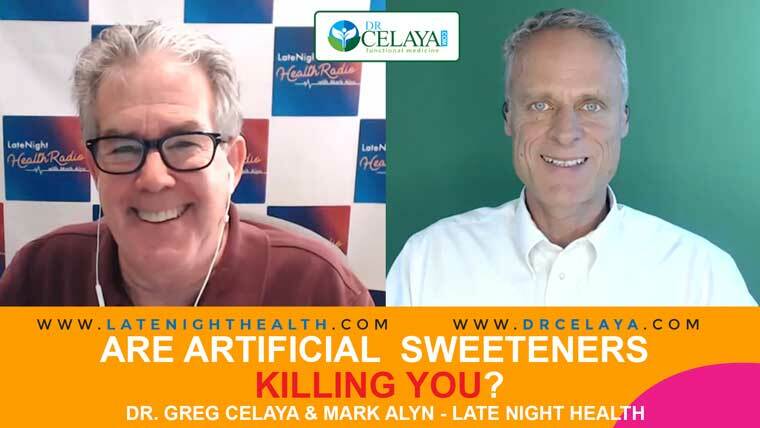 The human body was not designed to eat processed foods in which carbs and sugars have been busted out of their cells, concentrated, and able to quickly raise blood sugar. If you would like to talk to Dr. Celaya about your blood sugar issues, you can schedule for a free 15 minute consultation. Carb dense foods overwhelm the body’s cells with too much glucose. This causes cells to become resistant to the hormones insulin and leptin, both of which play a role in blood sugar regulation. 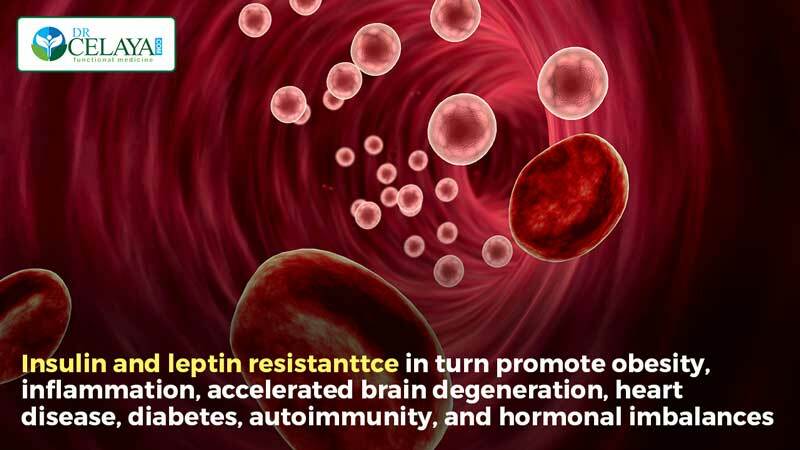 Insulin and leptin resistance in turn promote obesity, inflammation, accelerated brain degeneration, heart disease, diabetes, autoimmunity, and hormonal imbalances — in essence, the foundation to the many chronic diseases of western civilization. These days, plenty of research has demonstrated why diets don’t work in the long run for so many people. Calorie counting, exercising more but going hungry, extreme diets — these approaches may work in the short term but they pit the individual against primal survival mechanisms and can be metabolically and psychologically damaging. Although opting for a diet that is made up of healthy meats, fats, vegetables, fruits, and nuts may seem severe initially, it quickly adjusts hormonal responses to food. This reduces cravings, boosts energy, and reverses inflammation — the diet makes you feel so good you no longer feel deprived. You may also find processed foods make you feel terrible, so they lose their appeal. 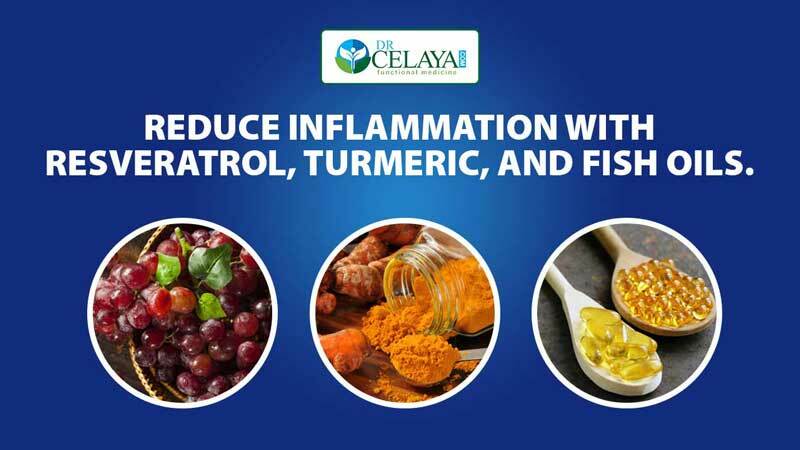 If you would like to get to the root cause of your health problems, you can schedule for a free consultation with Dr. Celaya.